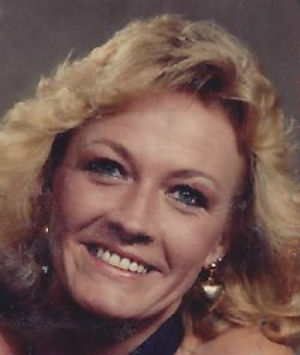 Obituary – Cherb, Dianna Lynne (Byrd Sinclair) « Perry High School Alumni Association, Inc.
Dianna Lynne Cherb, 63, of Amarillo passed away Tuesday, October 9, 2018. Funeral Services will be at 10:00 a.m. Friday, October 12, 2018 at Cox Funeral Home, 4180 Canyon Drive, Amarillo, TX 79109. The family will receive friends and loved ones for visitation from 6:00 p.m. to 8:00 p.m. Thursday, October 11, 2018 at the funeral home. Burial will be at 10:00 a.m. Saturday, October 13, 2018 in Grace Hill Cemetery in Perry, Oklahoma. Dianna was born in Perry, Oklahoma on June 17, 1955 to Courtney Dale and Charlotte Arlene Byrd. She worked as an LVN for BSA Hospice for 20 plus years. Dianna’s hobbies included shopping, traveling, going on cruises, fishing and spending time outdoors. She loved sewing and especially cherished spending time with her grandkids. Dianna will be remembered as a loving wife, mom, sister, granny and “bema”. She will dearly missed by all who knew and loved her. She is survived by her husband, Johnny Cherb; son, Cameron W. Cherb; daughters, Deana Lucero and Angelia Wing and husband David; brother, Larry Byrd; granddaughter, Kalie Lucero; grandson, Dylon Cherb; her extended family and friends and her beloved dog Cruiser. The family encourages memorial contributions to Olivia’s Angels; 500 South Taylor Suite 1060 Unit 223, Amarillo, TX 79101.